EssayMama.com offers some of the most competitive prices in the world. No, that doesn’t mean we offer cheap essays at pennies on the dollar. If you’re looking to get something for nothing, you’re at the wrong place. But if you’re looking to get a high quality essay at a great price, stick around, we can take care of you. 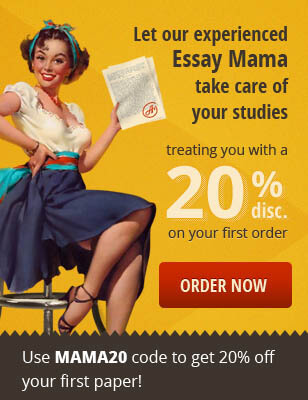 The great thing about choosing EssayMama.com is that we offer different essay writing packages to fit every budget. So, if your wallet is pretty thin and you are stuck eating ramen noodles every day, that’s okay…we have a paper writing plan you can afford. Have a little extra cash? You can take advantage of our Premium package that contains a few extra perks! At EssayMama.com, we always take care of our customers. Each of you are like a member of our family, so we want to always go above and beyond to make sure your needs are met. One of the ways we take care of you is through for your buck, such as free add-on services. Our discounts are also incredibly popular. The more you order, the more you save. Have a lot of pages to be written? That’s good because you’ll get extra discounts to give you the best value possible. Your parents will be so proud to know that they raised you to be a true bargain hunter! Whether you came here looking for cheap essays, fast service, or just the highest quality writing team on earth, you are at the right place. So let’s get started. Place your order today!